Wouldn't you all like to be in one of these "doggie homes"? Well you could be with a visit to the pet fundraiser, "Dog (and Cat) Days of Summer", this Saturday, July 17 at the wonderful Galleria Evangelia in Columbus, Ohio. Take a look at this cool gallery right here: www.galleria-evangelia.com There will be food, fun and frivolity galore! There's no admission charge, but donations are welcome and all proceeds go to Pets Without Parents, a great organization working tirelessly to save abandoned pets. Of course, bring your pooch, and if he or she's gettin' a little smelly from all this hot weather, there will be baths offered for only $5! 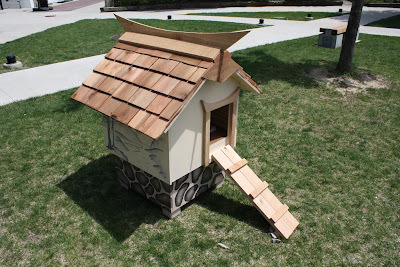 Now back to these fabulous dog houses. They were designed and constructed by students at The Columbus College of Art and Design (CCAD), where Parental Unit teaches writing, as part of their Foundation Studies (freshman year) design class. And they are amazing! Check out these pictures with artist descriptions below each one! Those are really great dog houses. What wonderful designs. We really like the Chinese one. Too cute.We wish Mom had some green papers so she could help out, but we are really short right now. We love to help pets without parents but there are so many of us here, that it takes all her money. Good luck with all this. Have a great day. 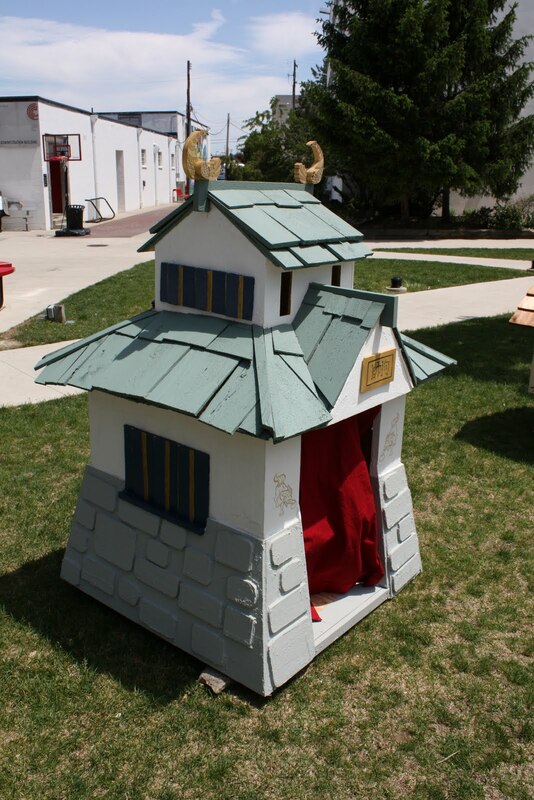 Now I prefers my dog house cuz it's da BIG house where I lets da hoomans live but... those are da coolest lookin houses evers! Da best thing is dat them peoples are doing it fur such a wonderful cause. Don't worry about helping out with those "green papers", Marg, just enjoy! Yeah, I agree with ya, 3 Doxies, I prefer the hoomans house too! Especially the couch and the bed! They are really cool lookin', Holly. Can hardly wait to see them in person at the fundraiser! I'll try and crawl in one and have my picture taken for ya! I haves a house now and the sign to proves it, but those looks really nice! Have fun at the "Dog (and Cat) Days of Summer" and Yay for all the peoples who are helping the pups and kittehs! I'lll have to check out your house, Maggie Mae-bet it's great! And "yay" and a big hug to all those volunteers! If I have to choose one... 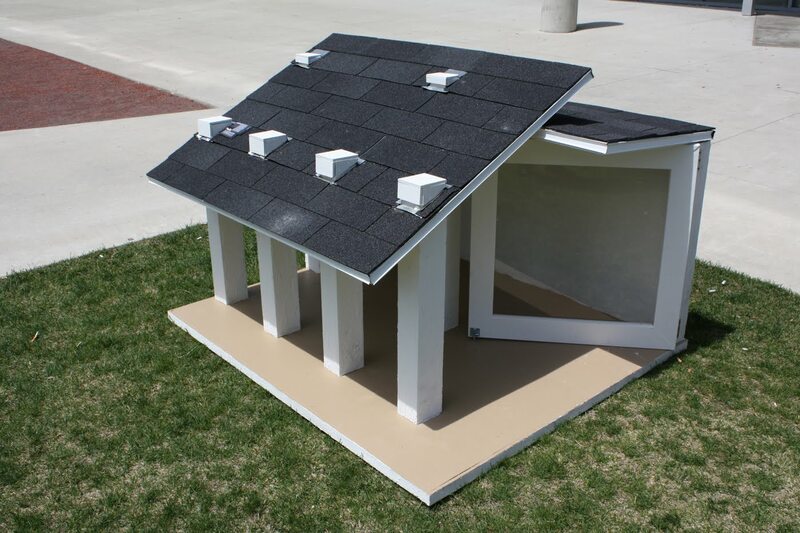 I like the Modern Dog House! Thanks for droppin' by, El'bow and Hauwii! I bet you won't fit in those! Ha! I'll have more pictures from the actual fundraiser, so stay tuned! Looking for Pet Stop Replacement Battery? The Pet Stop Replacement Battery is for use with our UltraTuff and Ultra Elite 2 receivers. Buy online now!